It was the quarter finals for The Great British Bake Off last week and only five baking ladies remain. 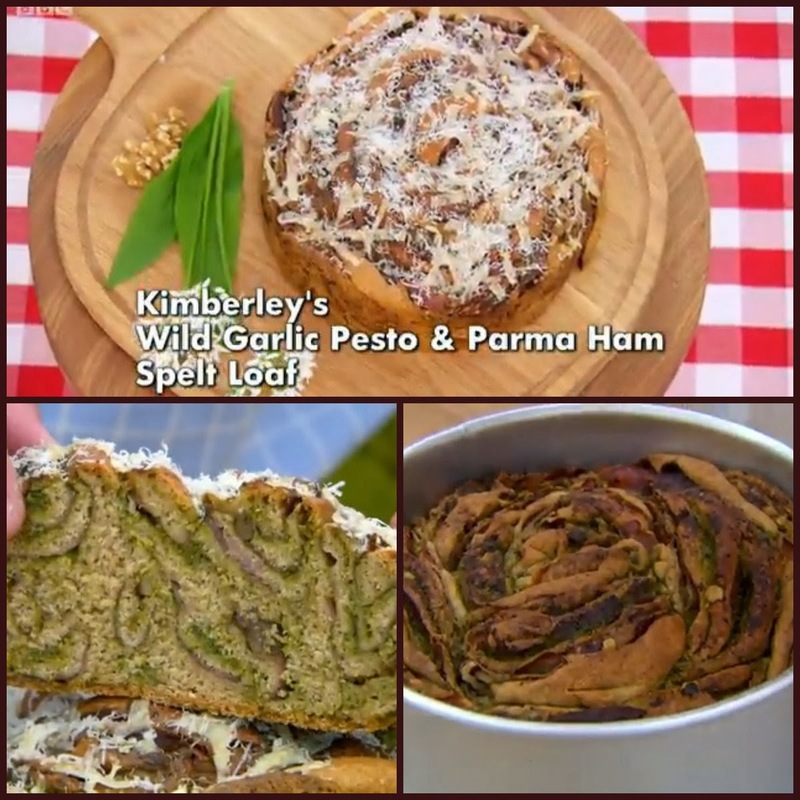 The first challenge was to make a loaf made from unusual flour. For example chestnut, rye, rice or spelt. Any flavours were allowed and the loaf could be baked free form or in a tin. All these unusual flours have different gluten levels, which Paul explained can effect the bake, prove or both. Mary wanted the loaves to hold their shape, cut well, and have good texture, rise and most importantly – good flavour. Spelt flour, which was being used by Frances, Kimberley, Beca and Ruby, has a weak gluten structure, which makes it more unpredictable then regular wheat flour. I loved the look of Beca’s Potato, Spelt & Rosemary Focaccia, it sounded delicious too and definitely something I would like to eat. The judges liked it too and called it ‘scrummy’. Christine and Frances also did well with good bakes and delicious flavours. 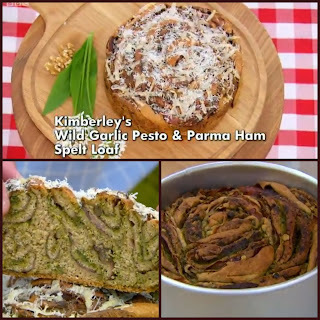 I really liked the look and sound of Kimberley’s Wild Garlic & Parma Ham Spelt Loaf, but I was disappointed to hear the judges thought it was dry and had too much filling. Such a shame as you can see above it looked amazing from all angles! Ruby slipped up with an underbaked and underproved loaf, although her flavours were good. 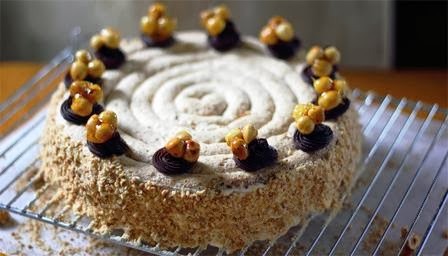 This week’s technical challenge was Mary Berry’s Hazelnut Dacquoise. A French classic, this dessert is made from 3 layers of nut meringue, layered with a coffee cream and finished with swirls of chocolate ganache. Mary warned that if the hazelnuts are over roasted they will be bitter, and if they are chopped too finely they will release oil and make the meringue runny. 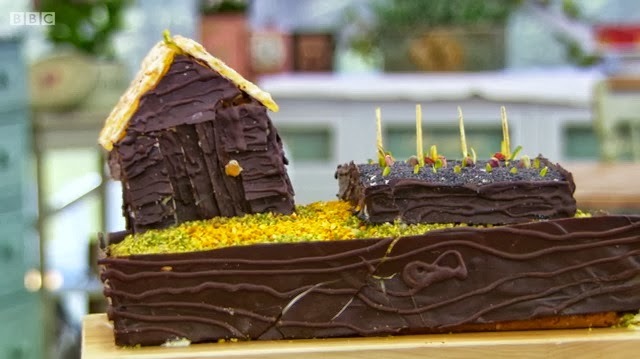 Paul was concerned that the bakers could trip up on the construction of the layers. No baking time was provided and the bakers did have trouble in getting all three meringues to bake evenly. There were many steps to this bake, it seemed to be the most complex technical bake yet. All the Dacquoise looked good but overall Ruby was crowned the winner, Kimberley came second, Frances third, Beca fourth and Christine last. 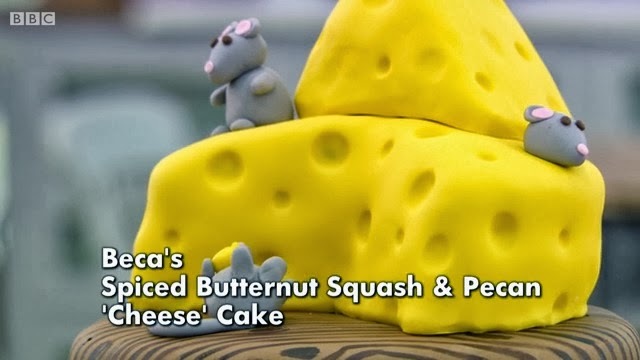 For the showstopper the judges requested a 3D Novelty Cake of any shape, which must be dairy free and a vegetable cake. Paul explained that the vegetable and oil (in replace of butter) will restrict and retard the flour used so could affect the bake. Mary wanted more than just a carrot or courgette cake, as well as a good base and an ‘all out’ decoration. Vegetable cakes also need longer to bake because of their high moisture content. Eggs were not mentioned, but surely these are dairy too? I saw them in Kimberley’s mixing bowl so they must have been allowed. 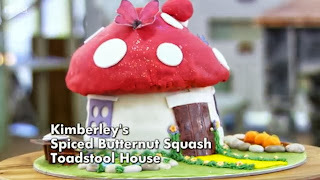 Almost all of the bakers used fondant to decorate their cakes, with Christine making her own marshmallow fondant. I tend to avoid fondant or sugarpaste where I can as I am not experienced with it, but it can create some beautiful effects. The judging was quite harsh this week! Frances’ cake was dense and dry, Beca’s was bland with no flavour and Christine’s was also bland and underwhelming. 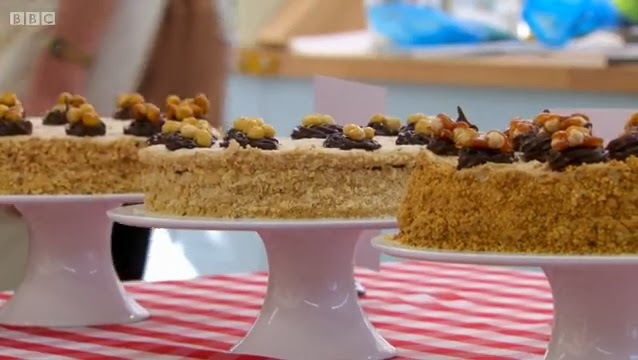 The bakers were left quite upset, with Beca describing the judging as brutal and even Mel and Sue commenting on the harshness. Kimberley and Ruby were the only ones with positive results. Christine left this week. Which I understood, but was still disappointed by. The biggest confusion for me was Ruby getting star baker. Her loaf was underbaked and underproved, and despite coming first in the technical challenge, her showstopper was wonky and in my opinion the least pretty of all the cakes. I hate to say it, but I do feel like there is some favouritism involved when it comes to Ruby. What do you think? Next week – savoury canapes, a swiss roll bowl cake, and an opera cake! I fell in lust with Beca’s focaccia this week so I decided to make it. I will make a vegetable cake at some point, but you can check out my Carrot & Orange Cake I made earlier this year. Unfortunately due to the lack of supplies at the local shops I couldn’t get hold of any spelt flour, or, mostly annoyingly of all, fresh rosemary. I also changed the cheese from gorgonzola to halloumi. You can find Beca’s recipe here. I started by boiling 300g maris piper potatoes. Whilst they boiled, I put 300g strong white bread flour, 1 sachet dried yeast, 1 tsp salt, 1 tsp caster sugar and 1 tbsp rosemary (fresh preferably but I used dried) into a bowl and mixed together. When the potatoes were boiled, I drained the water into a bowl and measured out 130ml/4 fl oz of the potato water. I put the potatoes back in the hot pan to dry out for a few minutes. Then mashed them with 3 tbsp olive oil and added to the flour mixture. I gradually poured in the potato water until a dough formed. I used olive oil to help knead the dough for 10 minutes until smooth. Then put it an oiled bowl for 1 hour to prove in a warm place. While I was waiting for the dough to prove, I parboiled a few new potatoes. The recipe said 15-20 potatoes, but I thought this was hugely excessive so I only did three. Then when they were cool, I sliced them evenly using a grater. I also sliced up my halloumi cheese. My dough rose really well, I was pleased! I spread it out onto a well greased baking tray and put dimples in it with my fingers. I spread the potato slices and halloumi on top then sprinkled over some rosemary and salt. I had exactly enough potato so I’m pretty sure 15-20 on the original recipe is incorrect! I baked on 220C/425F/Gas Mark 7 for 25 minutes, it was lovely and golden brown, then left to cool on a rack. Once cooled I sliced it into pieces and enjoyed eating it all up! It had great flavour and was really delicious. Perfect as a starter or accompaniment to a main meal. It’s also good dipped in oil and balsamic vinegar – I love doing this with fresh bread! It was a shame I could not use spelt flour, have you ever used it and how did it affect your bake? 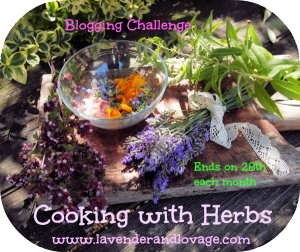 I am entering this bake into October’s Cooking With Herbs Challenge hosted by Karen at Lavender & Lovage. Yes that seems to be a popular opinion! I agree Kimberley was better. Very nice Kat! 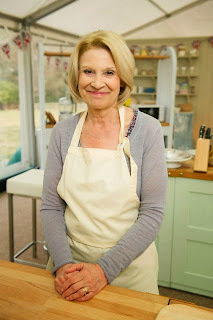 I am going to a course learning to make focaccia soon – I think you'd beat me hands down!! That sounds so much fun! You will do great, if I can do it, anyone can! That looks so tasty Kat, and you make it seem so easy! 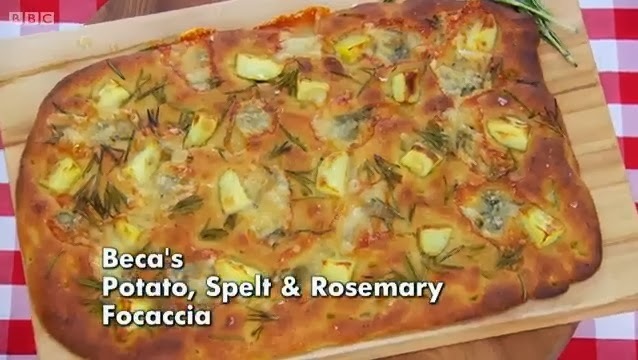 I'm making my first focaccia this week and am nervous, they did it as a technical challenge one year on GBBO and I think that scared me off slightly. Thank you! Hope your focaccia goes well! My first attempt a couple of years ago wasn't that great, but this time I think I've figured it out.